Lord Hanuman is worshipped for power and protection . He is the one whose worship provides relief from Shani/Saturn malefic effects . This magnificent Idol for your home/office/room to bring in good luck and protection from spirits and malefics of Shani planet. The auspicious Hindu deity Hanuman sitting in a very calm mood with his Gada and raises one hand in blessing. 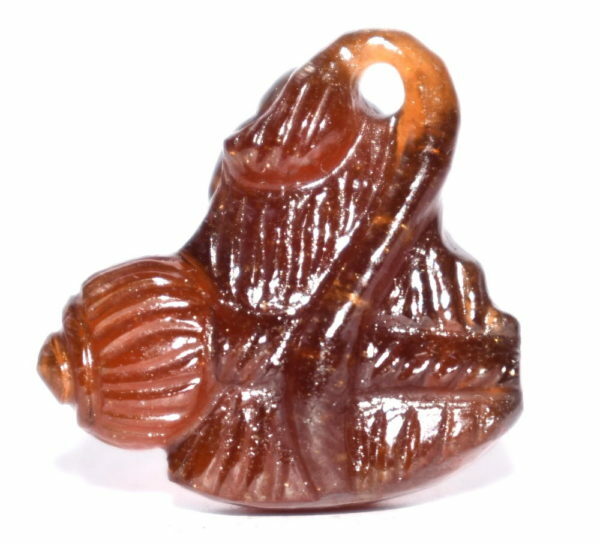 This unique natural gemstone idol in pure Natural Gomedh is perfect for your altar or home or as a gift for your dear ones. 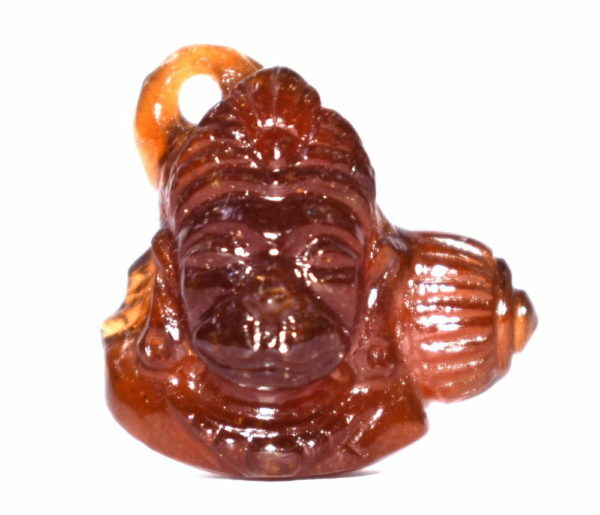 Gomedh is a gemstone of planet Rahu and enhances self-confidence and encourages one to fulfill their dreams. Hessonite gemstone is also useful to those who want to get success in law practice, court cases, government affairs or political spheres. Gomedh pacifies Rahu malefics and destroys obstacles and enemies.